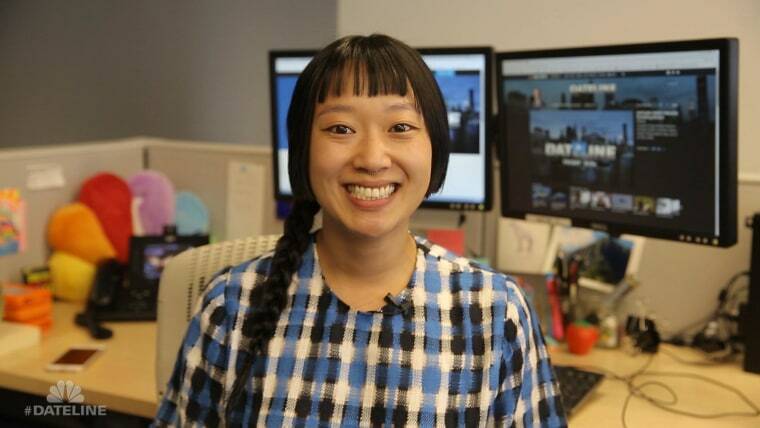 Dateline caught up with Julie Kim, a field producer for Monday's all-new Dateline, to play ‘Fill in the Blank.’ Watch her answers above to learn more about her and about the band she's in with Lester Holt. To learn more about Monday's show, A Good Son, with Dennis Murphy, we talked to Julie and associate producer Nicole Boucher, who have both been working on the report. Read our conversation, below. Dateline: I know you’re a field producer on this Monday’s Dateline. We have a few questions. How did you come across the case in this Monday's report? Nicole Boucher, Dateline Associate Producer: By sheer good luck. We were investigating another story in Southern Illinois about the mysterious death of a young woman. After talking with the woman’s father who was on a quest to find out what had happened, we heard there was another case in the same town involving the disappearance of a young person. This person was Pravin Varughese. Nicole: It’s the story of two mothers -- strangers, at first -- who embark on a journey together to fight for justice for one of their sons. Julie Kim, Dateline Field Producer: In order to tell the story visually we have to go to all the locations that were significant for the characters. When I’m filming, I always imagine what if I was standing where the characters were years ago. In this case, it got so hot that my camera kept shutting down every 30 minutes from over-heating. I had to keep running in and out of air-conditioned buildings or find shade every hour to avoid my equipment from melting in the near 100 degree weather. Dodging the heat, I found myself in a lot of quirky antique stores and cute local cafes. Nicole: A piece of clothing stuck to barbed wire. Dateline: What’s the best thing about working on a story with Dennis Murphy? Julie: To see firsthand how he can talk to anyone and make them feel instantly comfortable. He also has these poetic turns of phrase that sound like something out of a detective novel. Just a really nice guy.